Anti-Seize is a lead and CFC free compound, made from solvent refined oil, Bentonite thickener and fine copper powder. The product is highly recommended as a thread lubricant on the external parts of all racing motorcycles, where rapid and trouble free disassembly by pit crews is a competitive essential. Prevents seizure and galling during assembly and therefore reduces assembly time. Enables the easy dismantling of components subjected to high temperatures. Provides an effect anti-seize in saturated conditions, including chemical environments and salt water. Enables fast and easy dismantling of components, allowing them to be reused after dismantling. The special anti-seize properties enable this grease to work even if the joints become so compressed that most of the compound is squeezed out, or searing exhaust temperatures flash off the oily part of the compound. A fine film of copper particles always remain in joints or threads to prevent seizure. In the case of threaded joints where the compound has been applied before mating, these can easily be broken again even after long periods of use. 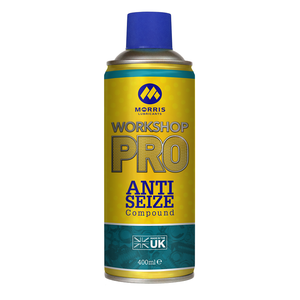 Anti-Seize Compound will also prevent seizures of pins or shackles exposed to harsh conditions, where limited movement and long idle periods are a problem for ordinary lubrication. It is highly resistant to water washing and protects against rust and corrosion. 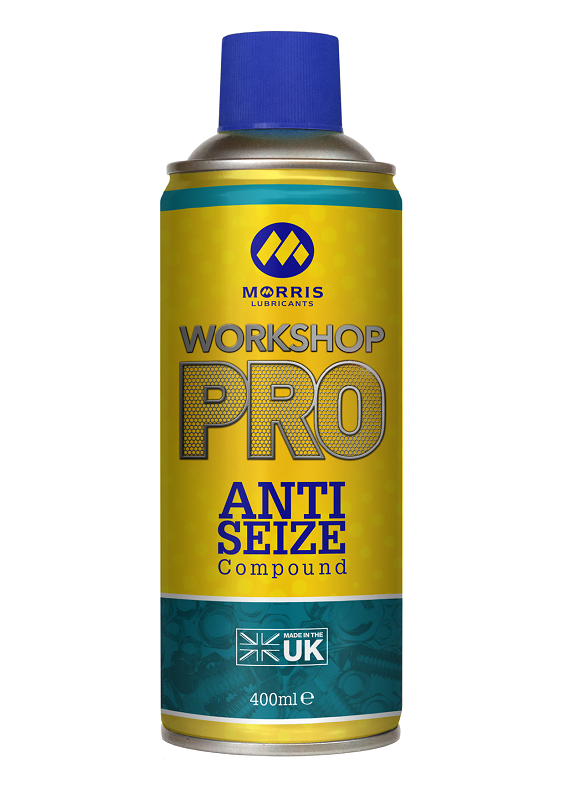 Anti-Seize Compound can be used with confidence on the stud threads of manifolds and pipes that carry very hot and corrosive exhaust gases, where it assists sealing and allows trouble free disassembly in the future.